I have never been the least bit crafty. I do not sew. I do not scrapbook. I am a very utilitarian baker. I buy my kids’ birthday party supplies. You could say that I am the Queen of the Pinterest Project Fail, but really I’m more like the Queen of the Pinterest Project Did-Not-Even-Attempt. And yet, here I sit, a few weeks before Christmas, staring at a pile of hand-crocheted Christmas gifts. If you’d told me last year at this time that I would be putting gifts under the tree that I had made myself, I would have scoffed. Back when my son was a baby, someone even attempted to teach me to crochet at a MOPS meeting and let’s just say it did not end well. But necessity is a surprisingly effective motivator and it was almost exactly a year ago that I felt a press on my heart, a need in my mom-life, that changed the game for me and turned me into a crocheting fiend with a burgeoning yarn stash and a Pinterest board overflowing with stitch patterns and project ideas. My problem was that I was struggling to be present with my family without wanting to gouge my eyes out. Sitting with my kids while they were playing, or beside my husband while he was watching sports, or in the parent waiting room during dance–it was all feeling like drudgery. I felt the need to find something I could do during those times that would allow me to be still, tune-in to my people, and yet still claim some space and enjoyment for myself. Reading was out because whenever I tried to pick up a book, I felt like I was always being interrupted. I tried adult coloring books but found I didn’t enjoy it all that much. Playing around on my phone had become my go-to, but obviously, that is a less-than-ideal long-term solution for multiple reasons. As a child, I enjoyed making embroidery floss friendship bracelets and in my non-crafty mind, crocheting seemed like the grownup version of that, so I put “learn to crochet” on my “to-do” list. And of course, it sat there on the list for months, untouched. Then, right before Christmas, I was at a wine night with some girlfriends, and I got the kick in the pants that I needed. As Christmas presents, one of my friends had crocheted scarves for all of us and she sat there with us, finishing up the last one as we talked and sipped and giggled. Present, but busy. Contented and cozy. This looked like exactly what I was hoping for. The next week, the kids and I headed out for a few days at my parents’ house and during a family trip to Wal-Mart, I picked up a hook and some yarn and put them in my basket. My mother looked at me with that disbelieving lip curl that has been the harbinger of her deep concern for as long as I can remember, “Honey…are you sure you want to do this? I’m not sure this is something we do…” She regaled me with a tale of attempting an afghan one time when she was a young Air Force wife and…let’s just say the lack of craftiness is genetic. I reassured that her I was just going to try it. I reminded her I was an adult who could make my very own decisions in situations like this thank you very much, and I bought the yarn and hook. She remained unconvinced. 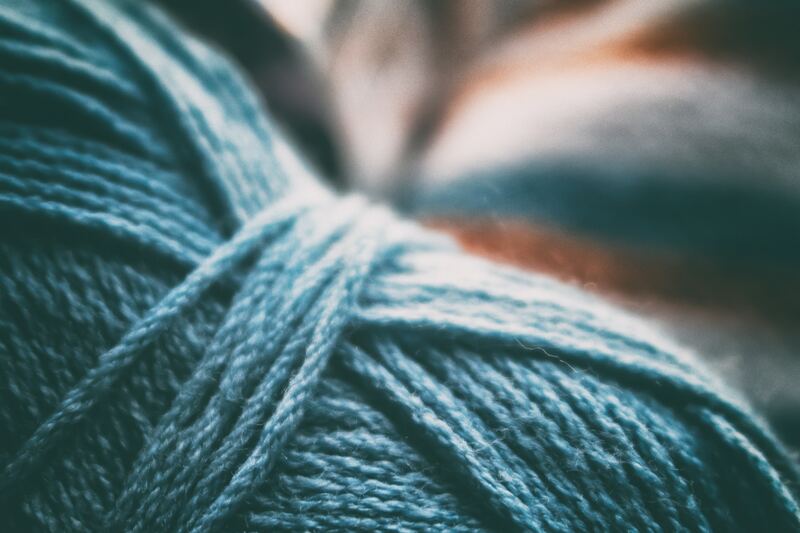 For the next day and a half, I sat rooted in an armchair in her living room, hook and yarn in hands and my phone on the arm of the chair, cued up to YouTube videos on beginning crocheting–all under the skeptical and somewhat worried eye of my mother. First, I made about a billion slip knots. Then when that skill felt a little less fragile, I chained and chained and chained, ripped it all out, and chained some more. The next day was single crochets and half-doubles. Slowly, I began to see some form emerge from the chaos. As I sat there in the armchair, an unexpected and totally precious thing began to happen. My kindergartener would take a break from his playing and sidle up to me and stand with his head on my shoulder, just watching my fingers work. That night, I crawled into bed and he laid down beside me and asked if he could watch me crochet some more. I was just finishing up my first swatch of single crochets and he asked if he could have it, so I tied off the end and handed it to him. He rubbed it up against his face, sighed, and put his head on that tiny little six inch square of crocheted pink yarn and fell asleep watching me work on the next swatch. From the start, even from those very first chains in my parents’ living room before a scarf or blanket even seemed like a possibility, I was already meeting my goal: being present with my family, doing something that blessed me, and as a hefty bonus, it also was creating a sense of coziness, contentment, and home for my kids. About a week after that fateful trip to Wal-Mart, my mom arrived at our house for Christmas Eve. I silently (and expectantly) handed her a package, and when she pulled back the paper, it revealed the tell-tale signs of a crochet stitch pattern. It perfectly fulfills the need I felt in my heart: to sit, be present with my family, do something I enjoy that allows me to also be attuned to my people. The added perk of shocking and surprising just about everyone who knows me has been fun as well. I’m so grateful for all of it. Getting started is cheap. Crocheting CAN be an expensive habit (yarn addiction is real, I have tubs full now), but in order to get started, all you need is a hook and some yarn. I started out with “J” and “K” sized hooks and some medium yarn (4). It’s a $20 dollar investment at most, and if necessary, you can do it for under $10. YouTube is your friend. Just head over there and search “crochet for beginners”. (Handedness matters here, so include “lefty” in your search if that’s you.) There are videos teaching you everything from slip knots to triple crochets, even ones that will walk you through an entire project. There are also videos on hooks, yarn weights, and how to follow a crochet pattern. Start small. When I started, I didn’t even have a project in mind. I just wanted something to do with my hands. Slip knots, chains, rows and rows of single and double crochets that just get ripped out, only to be done again–it’s all getting the job done. You are doing the thing, practicing, being content and present. 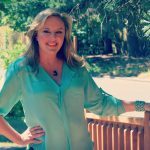 Tori Rask is a writer, wife, and mom living in the Pacific Northwest. She loves Jesus, music, reading, watching sports (but not playing them), drinking Jasmine tea, and connecting with other moms any chance she gets. Tori writes about life, faith, family, and friendship at her blog and is a staff writer and the Community Coordinator for Project Mother. You can connect with Tori on Instagram.